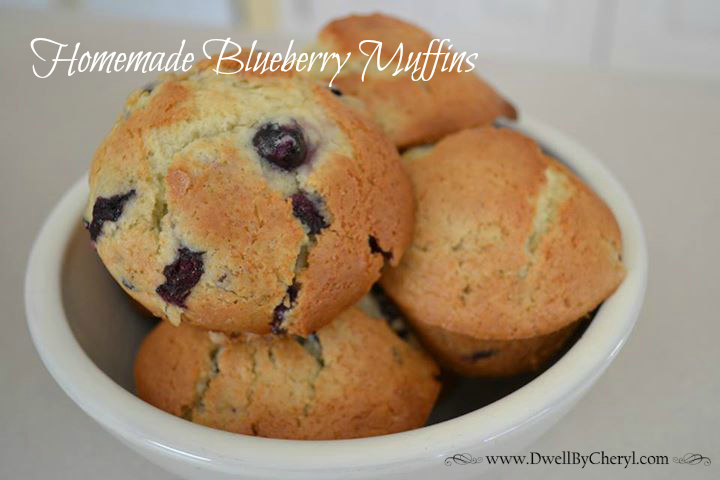 Dwell by Cheryl: "My Homemade Blueberry Muffins"
First things first, I am in no way a foodie. A dietitian yes, a foodie no. The thought of doing Foodie Friday blog posts makes me uncontrollably twitch. I just don't enjoy cooking that much. Yes, I do it, but it's more of a means to an end than anything else. So, brace yourself because you may not see this very often. 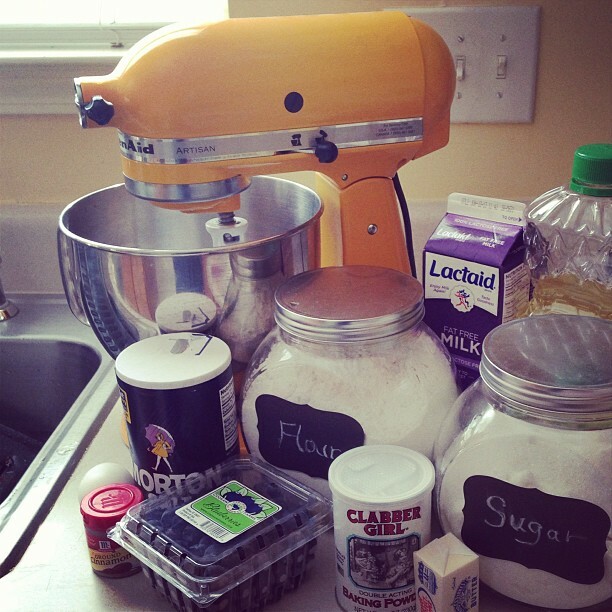 I'm about to blog about a recipe. Yes a recipe, there I said it. So, seeing that so many delicious fruits are in season in my area, I decided to go with a blueberry muffin. It sounded simple enough and I figured it would involve the least amount of steps. I was right. I quickly Googled a recipe and landed on this one at www.allrecipes.com. I was called To Die For Blueberry Muffins, and it had over 6,000 four star ratings, so I figured it was a safe bet. Best of all I had everything already in house that I needed with the exception of baking powder. Not something we non-baking chicks keep on hand. Fill muffin cups right to the top. And is it just me or is that a totally "Pin"able image or what? Hint, Hint. Allow me to be the first to say they look delicious. Must try this recipe. Thanks for sharing. Thet look delicious and pretty easy, too! Thanks! It was really good. Looks good! Bernice would be proud!!! Jennifer it's true! Kristi, yes indeed she would.